A beautiful box of show-stopping cupcakes. 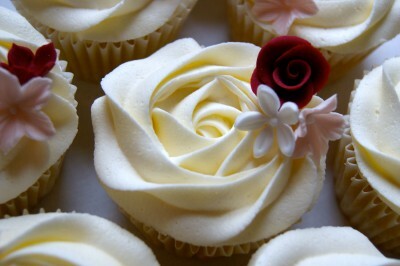 An indulgent morning baking and decorating cupcakes with Anna Adams from Kintbury’s Kennet House Cake Company. Cupcakes can have it all – beautiful to look at and to eat and all in a ready-portioned serving so there’s no mess or sharing involved. However there are definitely cupcakes and cupcakes….. We are passionate about cake and look forward to sharing with you how easy it can be to create cakes that both look and taste amazing. We will pack as much as we can into this short class to ensure that you go away with techniques for baking and decorating that apply to all cakes large and small; as well as answering any of those frustrating baking questions that have been preventing your cakes from stopping shows. No previous experience is required, and we think that even experienced bakers will pick up some new tricks. Arrive at 9.15am for tea/coffee and course introduction. An overview of baking and the different methods of creating perfect sponges. Discussion of tips and tricks, trouble-shooting common issues – including the elusive flat tops. Make a perfect batch of 12 cupcakes. Creating sugar flowers using a variety of techniques. Some require no equipment and others minimal equipment – so all are easy to achieve at home. Break for coffee/tea and, of course, cupcakes. After coffee we will be preparing and working with buttercream. All notes from the day, including recipes, tips and tricks. A beautiful box of show-stopping cupcakes.